Regarded as one of the most prestigious fairs for modern day decorative arts and designs, the Pavillon des Arts et du Design is a unique blend of modern art and historical design. Art lovers can expect an eclectic mix of different genres and styles, along with interesting dialogues between international art dealers and buyers. And for those still discovering their true calling for the arts may find the city of Paris a huge inspiration. For more, visit padparis.net. This reputed wine and spirits exhibition is a meeting ground for some of the most prestigious wine and spirits brands across the world with people who love savouring them. 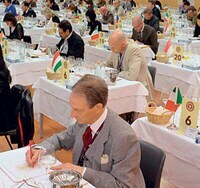 Last year, Vinitaly witnessed a record 1,56,000 visitors from over 110 countries. You can expect the numbers to only go higher this year. Visit vinitaly.com. Are you an automobile lover? 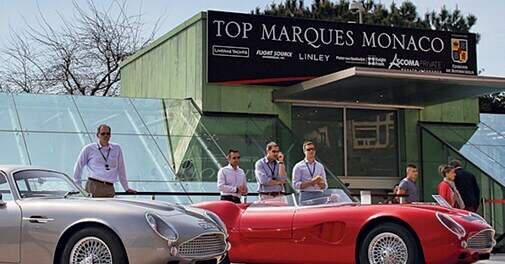 Time to head to the exciting Top Marques Monaco being held at the prestigious Grimaldi forum. This annual super car show, which is nothing short of sheer excitement, saw more than 33,000 visitors last year. Now in its 11th edition, the four-day extravaganza is getting racier than ever. 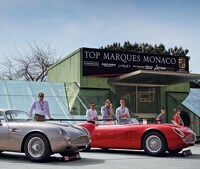 Visit topmarquesmonaco.com. Polo on the beach might sound like a crazy idea. But the AMG Miami Beach Polo World Cup has been a success story for eight years now, and happens to be a major event on the Miami social calendar. The tournament has players from every corner of the world competing for the trophy. Visit miamipolo.com.